This is a very special handmade purse of high quality at low price, and the best is free shipping .You can start collecting the Incastreasures Handmade Handbags. As part of our policy we will add a free gift with your handmade handbag. The most original gift , by fair trade artisans, no animals were harmed to make this Handmade Handbag. The representation of the Main star, or Chaska in Quechua, the mighty Sun that helps artisans and farmers, provides life and light all the day to get the products and preparing the harvest, all is reflected in this round handmade handbag. Beautiful round handmade handbag. Makes an ideal gift for a best friend, sister, girl friend, wife, even your mom. Handcrafted gifts are unique and often one of a kind. 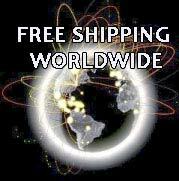 You avoid the malls and department stores and rows of similar mass produced merchandise by shopping direct here online. All of this together makes the process much faster, safer, and more personal. Made with lots of care. Handmade Peru Usually arrives on 9 business days .